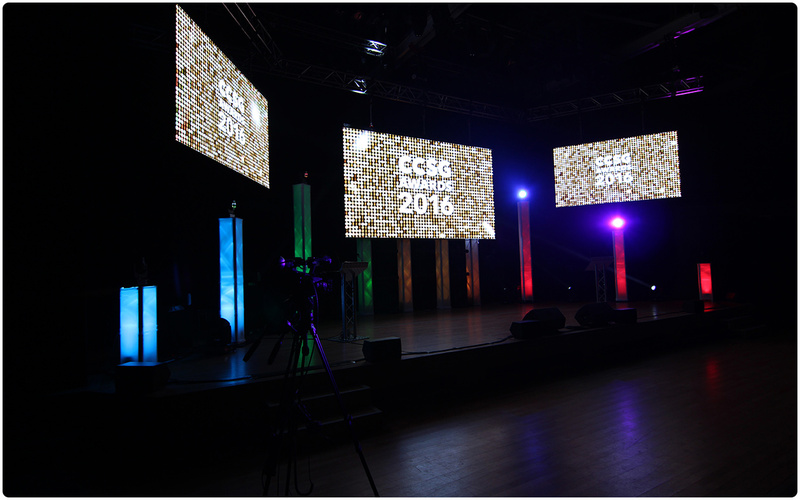 Production AV were excited to have the opportunity to provide an LED screen solution to first time clients, Warwick Arts Centre for their Campus and Commercial Services Group Awards night. 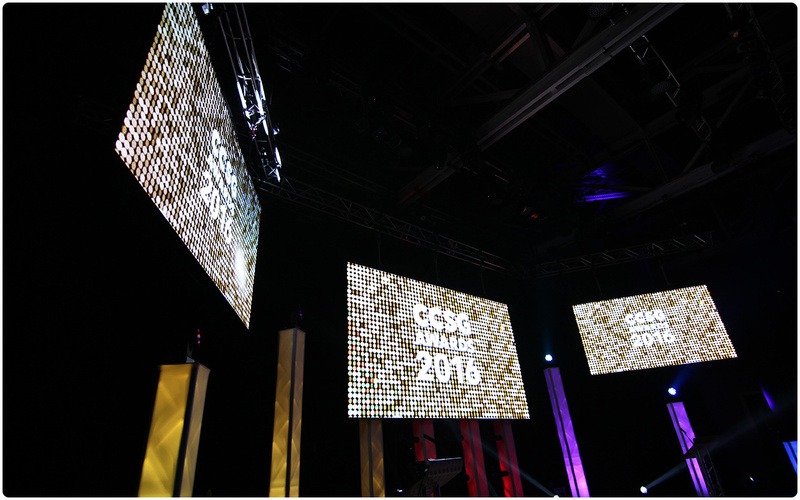 It was a privilege to be chosen to enhance the visual impact of a night for recognising the contributions the CCSG make to the student, staff and visitor community and in enabling the University to achieve all that it does. 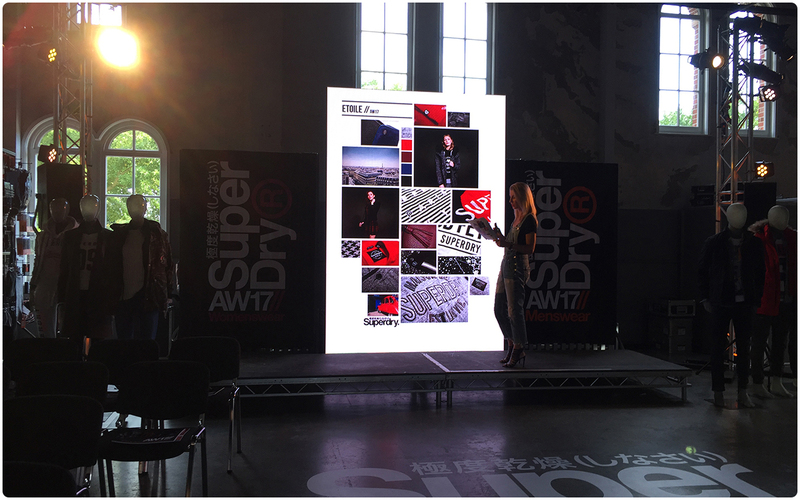 Using our stock of Desay 6.25mm LED Panels, Production AV created a 4.8m x 2.7m centre screen which was flanked on either side by two 3.2m x 1.8m screens. The screens were flown on individual truss supports and used the Desay rigging bars and screws along with 1.5m soft steels and 3.25t bow shackles to balance and hang them safely. Using two Nova MCTRL660 Processors, meant we were able to have the centre screen as it’s own entity and could easily adjust the individual brightness settings to the clients request. All content was fed to the screens using two Barco ImagePro II Dual’s that were conveniently placed out of the way back stage. All switching and mixing was done using the in-house hardware. All equipment was rigged on the morning of the show with rehearsals in the afternoon and the event in the evening. The screen worked flawlessly throughout the day and we were able to swiftly derig it at the end of the night. Many thanks again to Warwick Arts Centre for inviting us to be apart of this special night and we look forward to working alongside your team in the future. Production AV is proud to announce further investment in equipment in the form of the Barco S3-4K and EC-50 screen control system from Barco. Ideal for switching DisplayPort, HDMI and SDI sources, the S3-4K is ideal for a range of uses in situations from Live Events and Exhibitions to Conferences and Trade Shows. 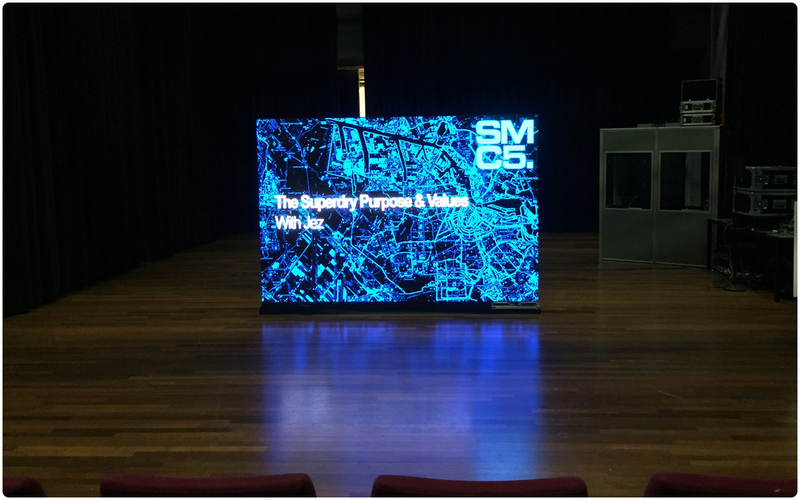 The processors partner with our high resolution 3.9mm Indoor and 6mm Indoor/Outdoor LED Screen products and High quality projection products for a complete solution. The S3-4K offers native support for 4K sources allowing the capability to manage and switch 4K content for displays. 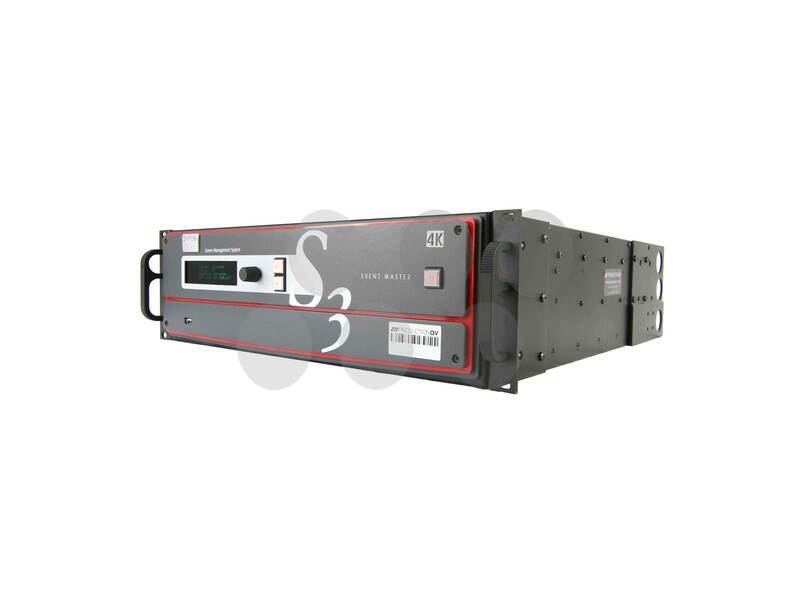 With up to 12 inputs and 10 outputs available in the HD setting the S3-4K offers real flexibility. Combined with the EC-50 Controller for hands on control of sources, layers and Presets the system offers a great solution for switching AV sources at conferences, exhibitions, lives events, music gigs, trade shows corporate events and awards ceremonies. 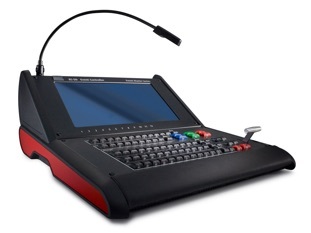 Where you require additional sources or outputs, then the Barco E2 offers these. Offering 28 inputs over HDMI, 3G HD-SDI and DisplayPort, as well as 14 outputs the E2 is designed for the larger event or show. It will also seamlessly link with the S3-4K to offer additional inputs and flexibility. 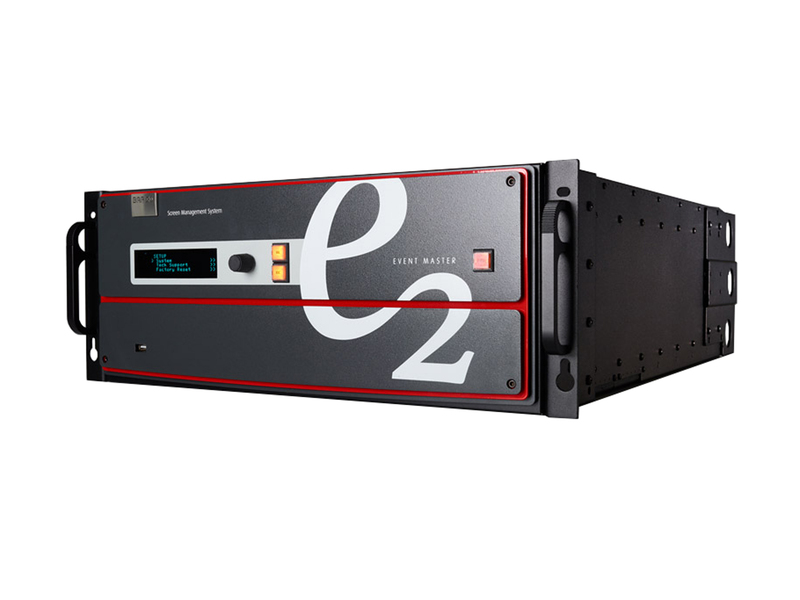 Both the E2 and S3-4K can be controlled by the Barco Event Master software, which offers control of the entire system and work flow from a computer or laptop. 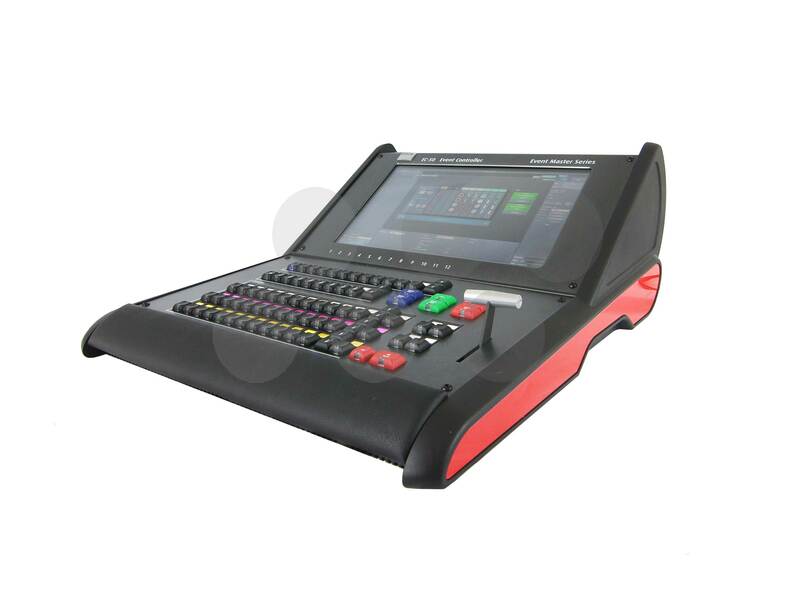 In addition to this Production AV have invested into the EC50 controller to allow operators hands on tactile control over sources, layers and preset. For more details on the products please see their respective product pages. If you would like a quotation for a particular project, or a demo of the capabilities of the switcher, then please do contact us. Production:av provide complete solution for Axa Winterthur. 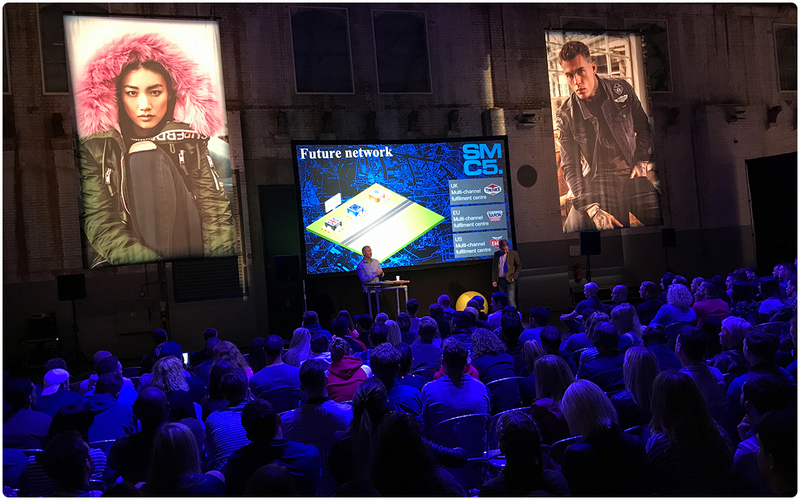 Production:av are proud to provide a full av solution for Axa Winterthur’s recent Manchester conference, and further upcoming events. The solution centred on a full HD centre screen with 8500 lumens for full impact, driven by Barco switching and a DVI over fibre system to ensure that the quality of the signal from source to screen. This was support by an EAW speaker system and Shure radio microphones to ensure that the audio was crisp, clean and consistent through out the conference. Lighting took advantage of a mix of generic lanterns and Moving heads to give various looks through out the day and in to the evening awards ceremony. Production:av also designed and provided the simple widescreen set to the clients requirements. This set has been designed to enable use at multiple venues through out the UK as required. However equipment on it’s own doesn’t make an event. Production:av supplied experienced and knowledgeable crew to supplement our in house staff on the event to ensure it’s success. Working from start to finish through a single point of contact with our Project Manager ensured that the client had nothing to worry about and a quick response to any issues that might have arisen. Production:av were proud to be working for Dair*, and look forward to working together on further events in the future.